Governor’s Motorsports is your number one towing service for Ellington CT and surrounding areas. If you're in need of immediate vehicle recovery services then please give us a call. Does your vehicle need a tow? Are you locked out of your car? Do you need gas? Did your battery die? These are just a few of the services that we provide. If you need relief from one of those frustrating situations in or around Ellington CT and need a tow or roadside assistance expert, look no further. We are a locally owned and operated company with loads of experience. Our towing technicians are always available to provide you with reliable and professional recovery service. Our team of professionals is dedicated to providing fast, efficient and knowledgeable towing services. We also offer reasonable rates so your tow won't cost you an arm and a leg. We keep our towing service rates competitively affordable. Stuck on the side of the highway? Broken down in your driveway? When you call us we take care of the tow job as efficiently as possible so that you can move on with your day. Our fantastic damage free towing services have earned us a stellar reputation that we are proud to boast about. 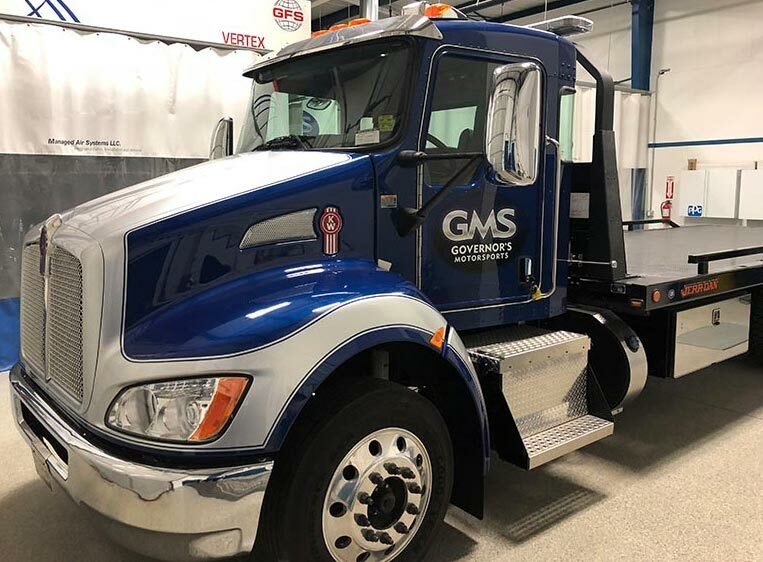 When you call Governor’s Motorsports to load up and transport your personal property you won’t be waiting long or disappointed. With many years of towing experience under our belt we’re proud to be able to offer 24/7 emergency services for our valued customers. Please call us today! We're fully insured and bonded so you can have added confidence when trusting us with your vehicle. Call 860-291-8733. Governor’s Auto Body, East Hartford, CT. All Rights Reserved © 2018.